Sometimes I feel like a bit of a freak. People shake their heads at me in disbelief when I explain what my family eats (and doesn’t eat). I just don’t get it. My kids eat unprocessed, REAL food. That means fruit, vegetables, meats, fish, eggs and poultry, healthy fats such as olive oil, avocado, butter and coconut oil. They have a little full-fat dairy and dark chocolate as well. Yet by today’s standards, I am the “weirdo” who prefers her kids not to stuff their faces with wheat, gluten, grains, sugar and food that comes out of a box. When did it become socially acceptable to feed our kids food that doesn’t benefit them in any way and in most cases negatively affects their health, energy levels, concentration and behaviour? 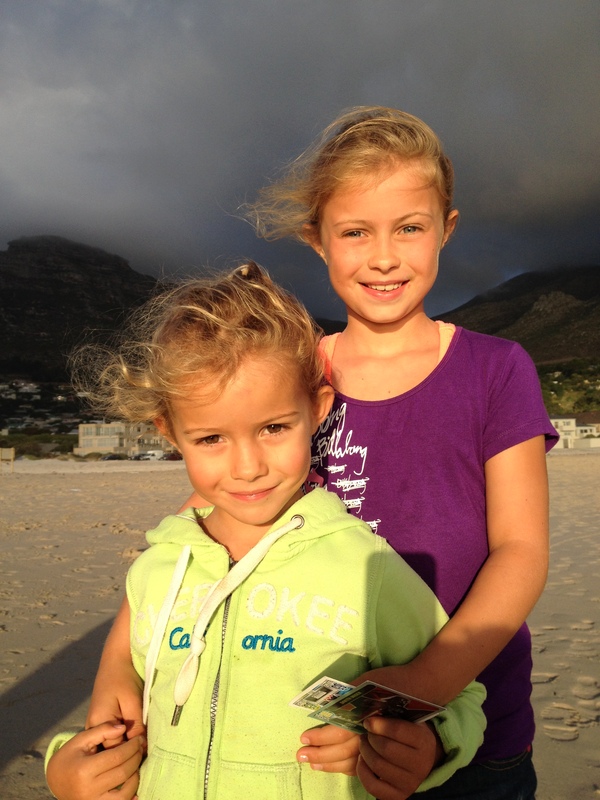 My kids glow with good health and vitality. They do not feel deprived. None of us do. Since changing our little family over to a grain-free, sugar-free and high fat diet our immune systems are MUCH stronger and snotty noses are a thing of the past. Neither of my kids have been on antibiotics for over 2 years. I have read 20 nutrition books in the last 3 years and numerous articles. I am totally convinced that grains, sugar and processed food are harmful to our bodies and our minds. The mounting evidence in favour of a paleo/primal diet makes it hard to ignore. Especially if you are serious about your health and the health of your kids. My goal as a mom is to role-model to my children what healthy eating looks like. Children pay attention to what you do and not what you say. Your influence over your kids is the most profound in the first 7 years of their life. The habits they develop now are going to be the habits that they will have as adults. But, it is never too late to make a positive change. According to Dr Robert Lustig (a pediatric endocrinologist), we are raising a generation, who for the first time in history, might not outlive their parents. Parents of our generation will have to bury their children. It is so horrifying to me that diabetes, heart disease, Alzheimer’s and cancer could claim their lives long before old age will. As parents, we have a massive responsibility. We have to raise little humans that hopefully grow up to be healthy, happy, productive members of society. Humans that are able to show love and compassion to others. We therefore teach our kids that we eat this way, to be “healthy, happy and strong”, so we can be the best possible versions of ourselves. I never use the words “fat” or “thin”. I don’t want them to measure their worth by their body size, but rather by the size of their heart. I want them to value beauty that radiates from the inside and not by how pretty your face is. I will therefore teach my kids what I have learned. I will show them how to cook healthy, delicious meals from scratch. I will reward and encourage them when they make good choices. I will also teach them how to share what they have learned with others in a way that won’t offend. Recently, my 4-year-old relayed to me that she told her little friend at school, that her lunch box contained “junk food full of sugar”. Not cool! Maybe my girls will still sit in their psychologist’s office one day, offloading all the baggage their mom gave them when they were little. Of course I am hoping that won’t be the case. All a mom can do is try her best, with the information she has available at the time……. and that is what I am doing. I won’t need a pat on the back or a thank you from them one day. I just need them in my life for a very long time to come. Posted on February 8, 2014, in Primal 101 and tagged children's health, paleo for children. Bookmark the permalink. 1 Comment. That is what moms and dads are for – to try there best in teaching our children correctly for the future. I am glad that your choice of eating is improving your life style and especially the young ones. What we drink and eat plays a big part in our health. I read your articles with much interest. I am 72 and Wanda 66 and we too have been blessed with excellent health over the years, even though we have not stuck to any particular way of eating. Even more surprising, I am the youngest of 5 children and all my brothers and sister are still living. So maybe with some people, like ourselves something else controls our good health.